10/13/17 I delayed sketching until my scone was half gone. Nothing keeps me from a warm pastry -- not even sketching. 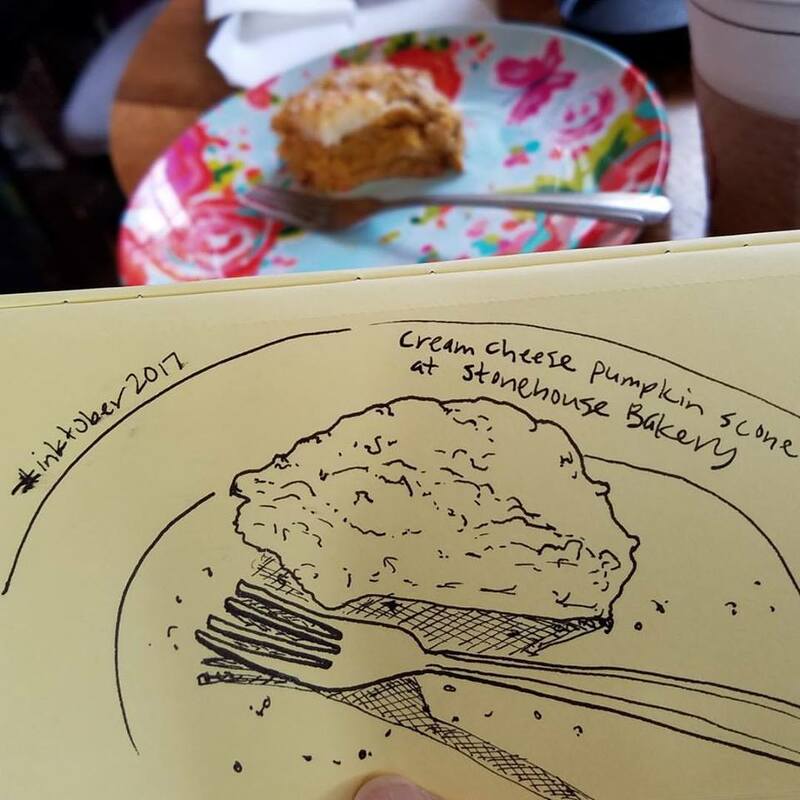 The Stone House Bakery on the south end of Lake Washington has been a sketcher-friendly venue the past couple of years. The first time was almost exactly two years ago when, after warming up first with a scone and coffee, I was able to go outdoors long enough to sketch the Stone House itself. When we went in July last year, we all went outside to sketch the colorful décor, including the blue truck parked there permanently. 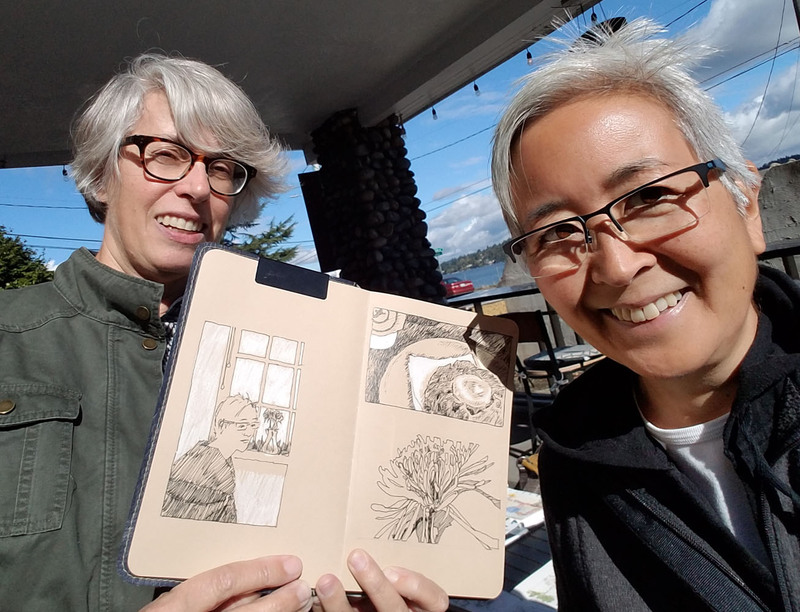 The owner, Patrick Choy, is moving his popular bakery to a new location, so Urban Sketchers Seattle met at the old Stone House location yesterday for the last time. Again fortifying myself first with a scone (cream cheese pumpkin!) and coffee, I intended to eventually sketch outside if the morning warmed up. 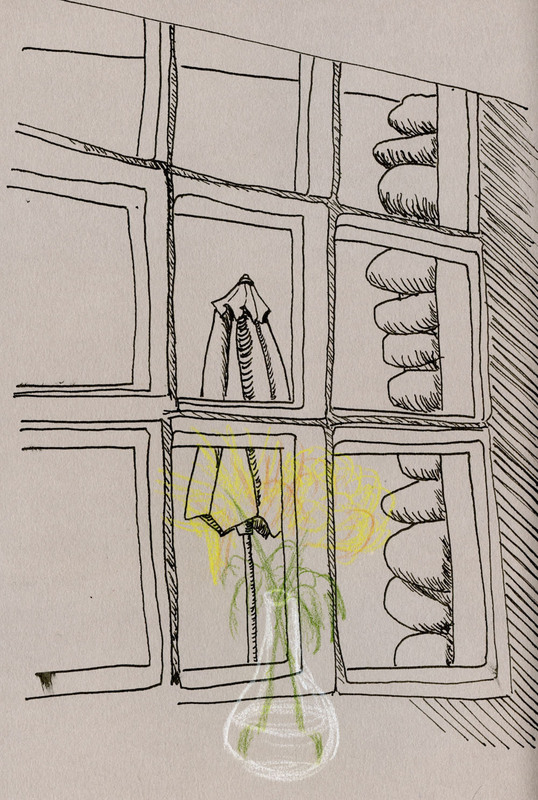 Almost all of us began the same way – sketching our scones. 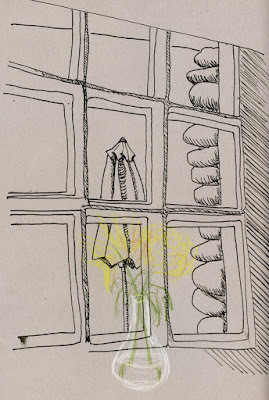 I decided I needed to stay warm a little longer, so I sketched the view out the window (including a bit of the lovely stonework around the window). With only a half-hour left, I zipped up my jacket, pulled on my hoods (yes, plural), and went out to the café’s haunted house. I gave the fellow below 15 hasty minutes before I scurried back inside, rubbing my hands together. I guess there’s no denying that fall is here. Many thanks to Patrick for being a gracious host to us the past couple of years. 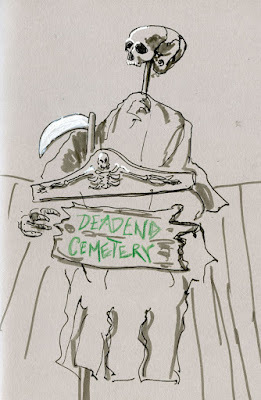 I’ll certainly get to his new location for more scones, if not sketching. 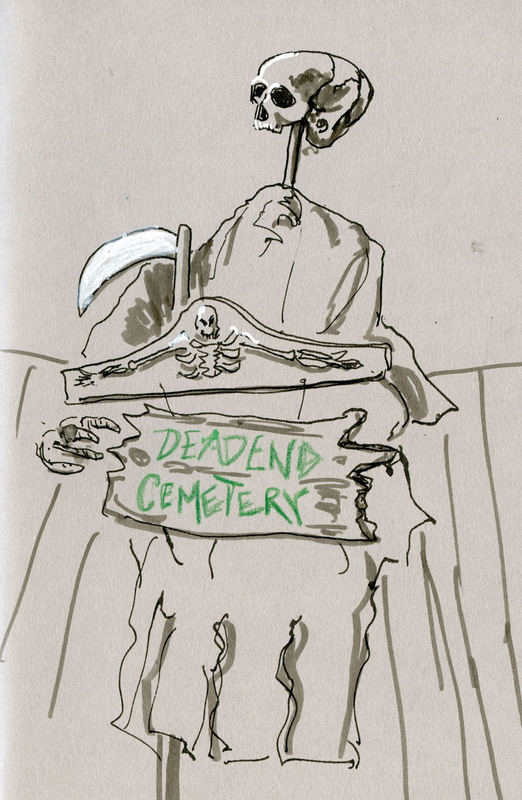 Check out Sue's sketch of me! I think it's the first time I've recognized myself in someone's sketchbook! I love cafes and bakeries that welcome sketchers. The scone looks yummy although I would pass on it since I'm not much of a fan of the taste of pumpkin. Your friend did a nice sketch of you.